Train your people and communicate your key messages through live performance with actors, videos, and online content designed to your specification. For the workplace, schools, colleges, universities, events, and in collaboration. A great example of our work in schools, this time promoting the 3 Rs - Reduce, Reuse, Recycle. 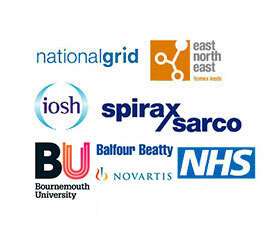 Enact Solutions is an approved drama based learning provider for National Grid. Breathe new life into learning and development in the workplace. Build on good practice and improve performance. Whatever the audience, connect at an emotional as well as an intellectual level. Influence attitudes and behaviours to produce positive change in young people and support those working with them. 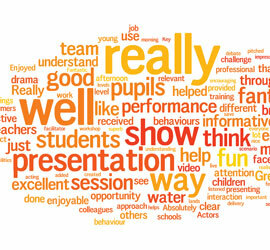 Inspire, motivate and engage primary through to post-16. Clients and collaborators, check out who we’re proud to work with. Don’t take our word for it, find out what others have to say about us. 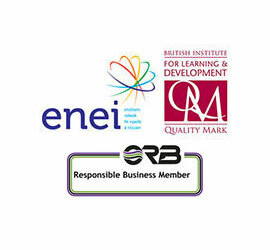 Information on our accredited ethical and quality standards.